The Lega Calcio schedule makers did not do Inter any favours when they released the 2010-2011 Serie A schedule tonight. 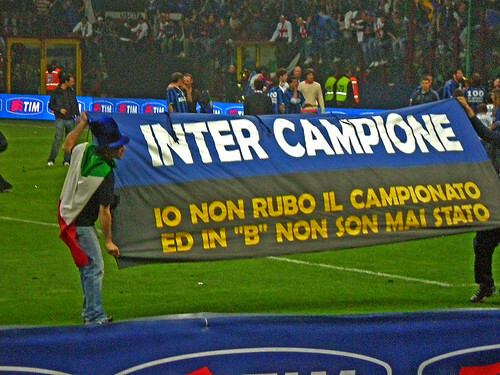 Champions Inter Milan will visit last season’s runners-up Roma in week five and then host traditional rivals Juventus in week six. The European champions, who also won the domestic cup last season to seal an unprecedented Italian treble, open their campaign at perennial strugglers Bologna but the game may be shifted from the Aug. 29 date given they face Atletico Madrid in the European Super Cup on Aug. 27. After the games at Roma and at home to Juve, Inter play AC Milan on Nov. 14 and again on April 3 with Juve facing Roma on the same dates.